The latest crew of Taylor Bennett Foundation trainees is racing around London public relations agencies this morning. They're dropping off boxes of samosas and an invitation to a PR pub quiz taking place next month. The pre-lunch agency samosa drop is part of the Foundation's 10th anniversary fundraising effort. 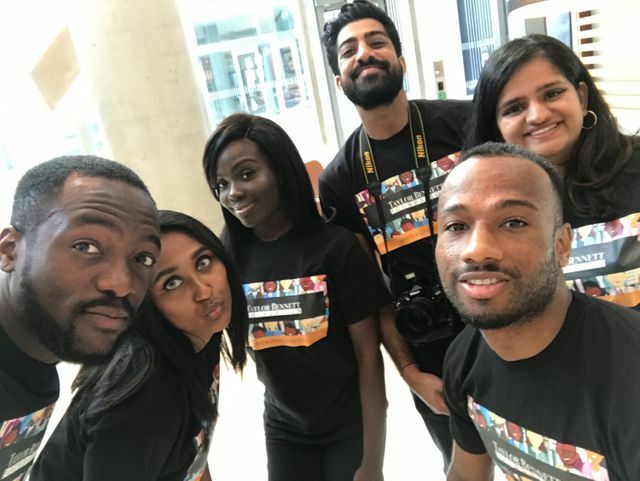 The Taylor Bennett Foundation is an important initiative founded in 2007 to encourage black, Asian and ethnic minority graduates to pursue a career in public relations. In the ten years since it was founded more than 170 graduates have been through the Taylor Bennett Foundation traineeship programmes. Candidates receive a salary from the foundation throughout the 10-week programme, removing a critical barrier to access. More than 700 candidates have attended a graduate assessment day and received detailed feedback on their performance to help with their job search. The pub quiz takes place in London on 12 September. Tickets for a team of 3 to 5 people cost £50. All the money raised will go towards the foundation and increasing the number of programmes it runs each year. In honour of the Taylor Bennett Foundation's 10th anniversary, we are inviting you to join us for a pub quiz between the top PR and communications agencies in London. All money raised will go towards the foundation and increasing the number of programmes we run each year.